I never thought I’d see the day. They say that you get more reactionary when you get older. But agreeing with Prince Philip? Everyone knows he has the views of a 140-year-old. I thought I’d be safe for at least another decade. Yesterday we all found out that he’s been sounding off about the iniquity of onshore wind farms to a man that’s trying to build them all over the UK, Esbjorn Wilmar, of Infinergy. Apparently the Duke told Mr Wilmar that wind turbines were “absolutely useless”. Spot on, your royal brain. From now on I’ll take what you say more seriously. Mr Wilmar is Dutch, of course. Two thirds of the country’s windfarm manufacturers are based overseas. You and I are paying them to put these white elephants into our prettiest landscapes. Last year about £90 of your annual electricity bill went off in big cheques to these and other generators of renewable energy. Nobody asked us: we just watch our electricity bills rise because we’re giving people like Mr Wilmar our £90 cheques, and they don’t even say thank you. Instead they build these monstrous objects across our most serene scenery. Mr Wilmar doesn’t have any hills in his own country – it’s flat and dull as a Dutch pancake. You could cover the place with turbines and no one would mind. Instead he’s doing it here. His company is Infinergy, which is owned by KDE Energy, whose holding company is called Koop Group, whose owner is a man called Henk Koop, who, together with his pal Mr Boonstra, is retiring this year. These two old Dutchmen are cashing in and have put their windfarm empire up for sale. Personally, I think we should all claim a stake, we’re investing so much into it. In 2009 Infinergy applied for planning permission for 17 turbines in one of the most beautiful parts of Scotland (“the windiest country in Europe”, their website says; “a unique and unspoilt destination” says the landowner, the Cawdor Estate). Except that, lured by the huge windfall generated by our subsidies, the Cawdor Estate has conspired with Mr Wilmar’s company to bespoil a chunk of its own unspoilt destination. The Highland Council quite sensibly turned them down flat. So, of course, they are appealing, and, as these things go, what with the government ultimately making the decision, it’ll probably go ahead. Europe says we have to build thousands of these things, so yet another bit of national heritage will be ruined forever. 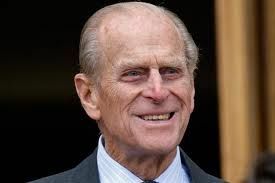 Prince Philip is right: wind farms are “absolutely useless”. 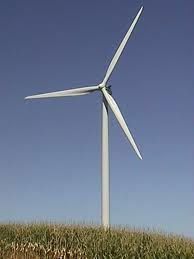 They contribute a pathetically tiny amount of power, they don’t work in winter (as we found out in 2010), they’re noisy, intrusive and worse than useless when the wind stops blowing (which in Northumberland is far more often than my Californian wife claims). He also said that they’re a bad idea because they rely on subsidies. He’s right: without our cheques, Mr Wilmar would be out of a job. His machines wouldn’t make economic sense, for they’re expensive to build, costly to run, and don’t work at all for much of the year. In short, they’re useless and not a good idea at all. The Duke could have added that they’re dangerous. There are some remarkable pieces of research coming to light about blades flying off and ending up in nearby walls and buildings. Ice throw is also a problem: great chunks of it flying hundreds of feet. Then there are the birds: in Germany 32 protected white tailed eagles were killed by turbines: our poor old golden eagles may as well give up. Let’s be frank, we’re only doing this because the EEC is telling us to. Because we’re too timid to admit that the 2000 or so of these wind turbines we’ve already built at a cost of billions hasn’t matched a single Chinese coal-fired station. Too naïve to spot that the benefits aren’t remotely worth the outrageous subsidy. Too blind to see we could satisfy our energy needs by using other much more efficient green technology. Technology that would generate cleaner power, not royal rage.